Max sent me this photo of Child Bros fleet which he accessed from the Palmerston North library. Definitely a Ford fleet, but I can see a Commer and is that a Morris Major next to the Mk 2 Zephyr? I wonder what year this was. Although most of the vehicles appear to be 40s models, the Mk 2 Zephyr didn't surface till 1956 and the Ford sedan near the left hand end of the second row is a '57. Max took these at a truck gathering. I'm not sure where as I can't seem to find the original e-mail. I can see a TK Bedford, the Allen Mills & Son KenworthW924 and a selection from the Buckeridge fleet. MAN 4x4 of Farmers Transport, Gleeson's Mercedes LP1319 and Ford V8, an LAD cabbed Dodge, Commer Superpoise and a couple of Commers from Murphy's Transport and Hargreaves. An International and a Model T Ford flank what is labled as an Austin. I have never seen one of these. 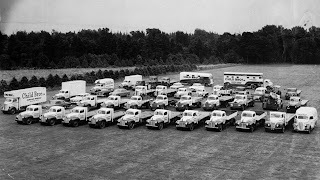 That must be a Chevrolet nearest the camera and the furthest one is a KM Bedford, but the one in the middle looks to have a Daimler radiator, but maybe it's a Koehler. A few months ago a workmate, Donald, went on a bowling trip to Invercargill and managed to get a look at the late Bill Richardson's museum. A Morris Commercial, two Albions and a Karrier sandwiched between two Commers. More of the British section: Several Bedfords, some Austins, including the clever FG model which had doors which did not extend beyond the body width when opened and another Morris Commercial. TK Bedford right down the back, the nose of a Commer Superpoise is just visible, then a 1957 Thames Trader, 1958 Morris, 1965 Morris,1963 Dodge, 1937 Dennis and a 1967 Ford K series. 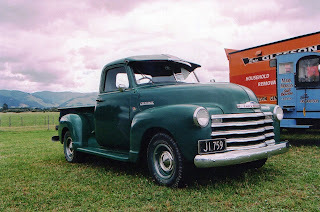 In the left foreground is the front of a 1955 Seddon. 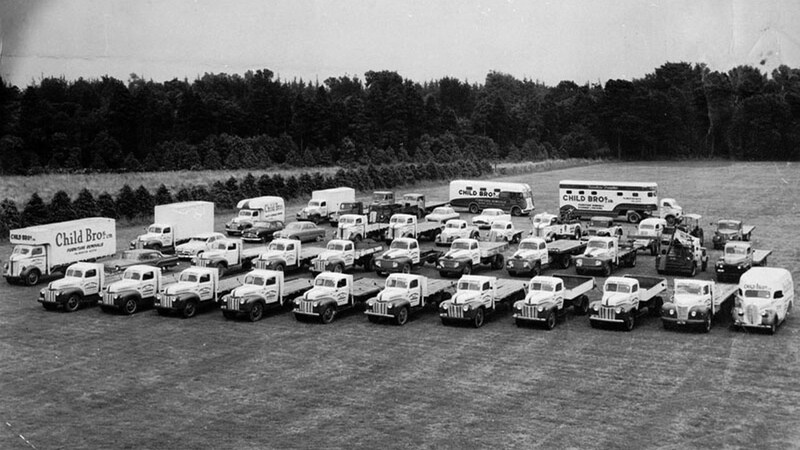 A bit difficult to identify all of these, but I can spy some Internationals and Chevrolets. The yellow one is a 1914 Willys and at the far right a 1911 Koehler. Diamond T, Brockway, Reo, Mack.....Ooooh I've got to get to this place soon. It's all too much just looking at pictures. GMC, Sterling....It's all too much. Definitely on the bucket list. 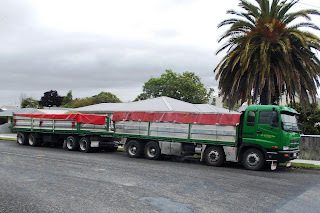 Some shots from the 2010 Vintage Harvest at Carterton. 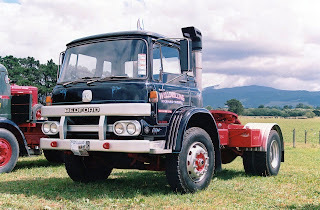 1976 Bedford KM with a Detroit 6V92 power plant instead of the 6V71 which was more normal for the NZ market. 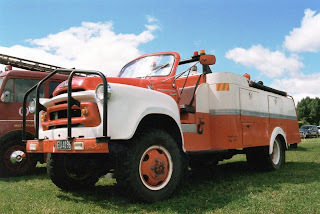 International ASW 160 fire appliance from 1959. 1948 Chevrolet pick-up with non standard wheels. 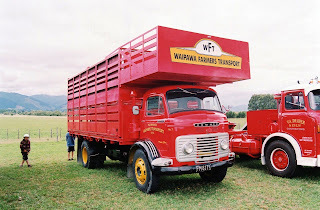 1974 Kenworth W924L with the livery of Allen Mills & Son of Dannevirke. D series Ford from 1976 with twin steer conversion. Nice Commer of 1962 vintage with the unforgettable sound of the TS3. 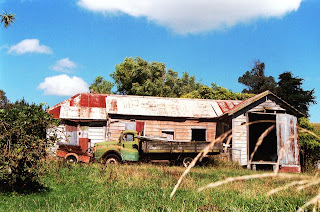 An old Austin looks as though it would be still restorable that I snapped on a country road somewhere. No operators name or any livery on this DAF. This model of Western Star must be one of the best looking conventionals on the road. Especially with twin exhaust and intake stacks. 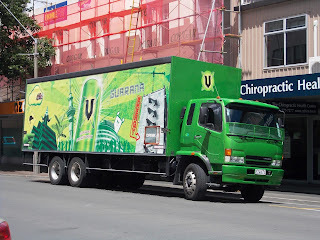 The Owens Group was taken over by Mainfreight almost 10 years ago. 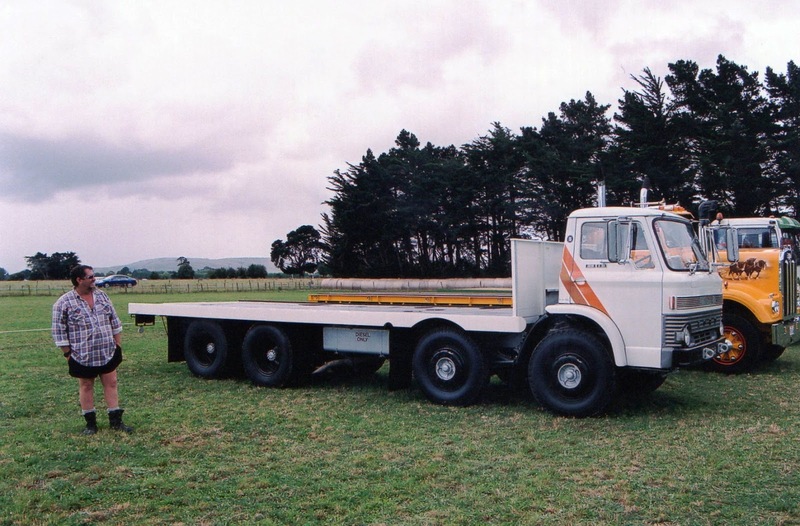 Kenworth with flat deck B-train of Shannon Bulk Haulage. High volume body and high volume cab for the Canterbury Bulk Freight Scania. Freightliner Argosy of Mainfreight pulls two containers on this container lift trailer. Another trailer capable of loading its own containers behind this day cab Volvo FM of Toll. 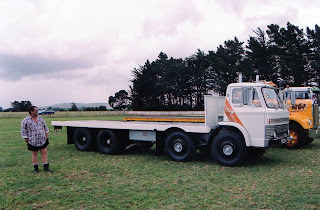 Allied Concrete have mixers in the livery of this Mack, all over NZ. Maskill's Kenworth wears aerodynamic aids to tow this curtain sided B-train. 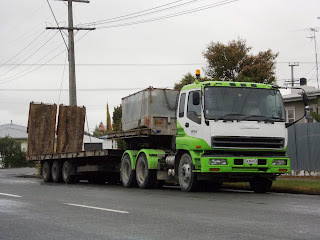 Another Kenworth from Reid's Transport of Rangiotu. I thought AF Logistics only carried temperature controlled products, primarily for the Foodstuffs supermarket chains, but the load being pulled by this AF liveried Freightliner Argosy suggests I am wrong. A step framed, chilled, curtain sided B-train being pulled by a Freightlines Kenworth. The rego plate gives me a clue to its model. Provincial Freightlines is owned by the Linfox Group, hence the Linfox labels on this Mack Qantum. Linfox Freightliner Argosy with a load of chilled products for Countdown supermarkets. The cab colours are Total Transport's, as they are part of the Linfox group too. 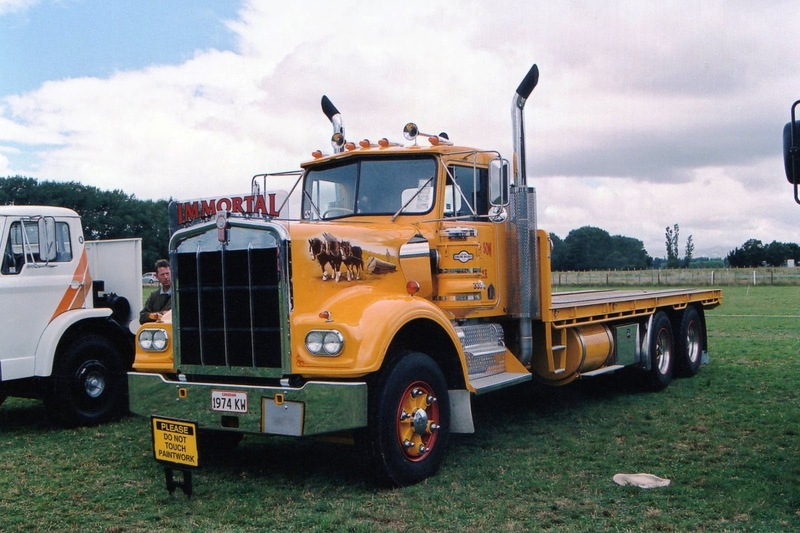 Another Maskill's Kenworth. 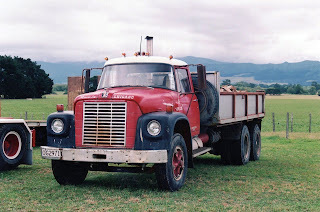 This time a COE with its decks full of new, and no doubt expensive, agricultural equipment. A Hall's Refrigerated Transport Kenworth passes grazing sheep in the Palmerston North sun. Max has snapped this Freightliner of Booths. They appear to have a number of Argoys with different advertising on the curtains of each one. From my own lens a neat little Hyundai HD75 delivering frozen food products in Masterton's Queen Street. 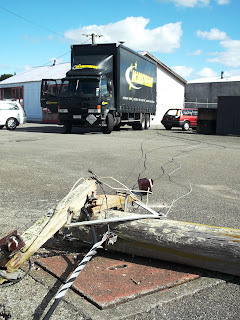 Last week at my work place a truck making a delivery, backed into live wires and snapped off the pole at ground level. "Hell! someones just knocked that pole over." 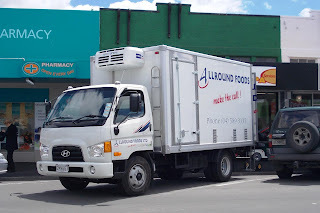 Isuzu with low loader parked in Fleet Street Masterton. B & B Contracting's Isuzu and trailer in West Street Greytown. 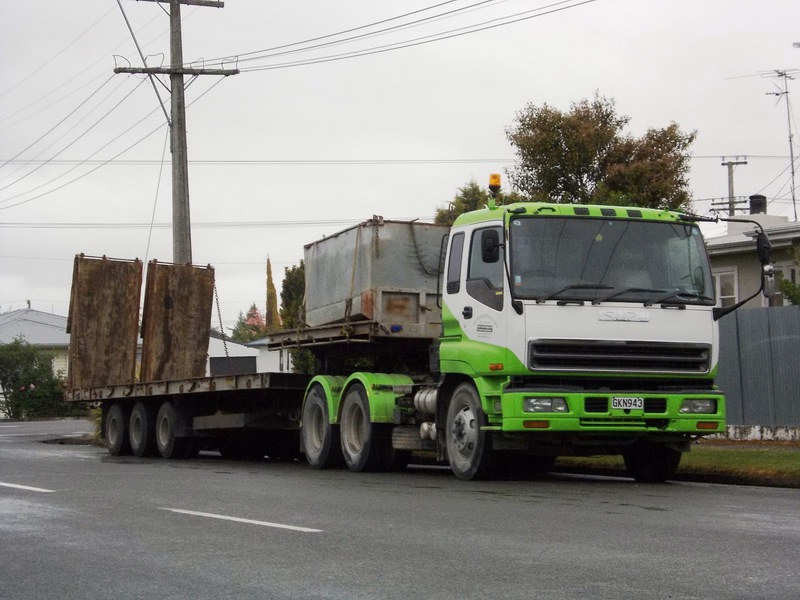 This brightly liveried Fuso regularly delivers in Masterton for owner driver Paul Thurston, contracted to Frucor. More from Max. 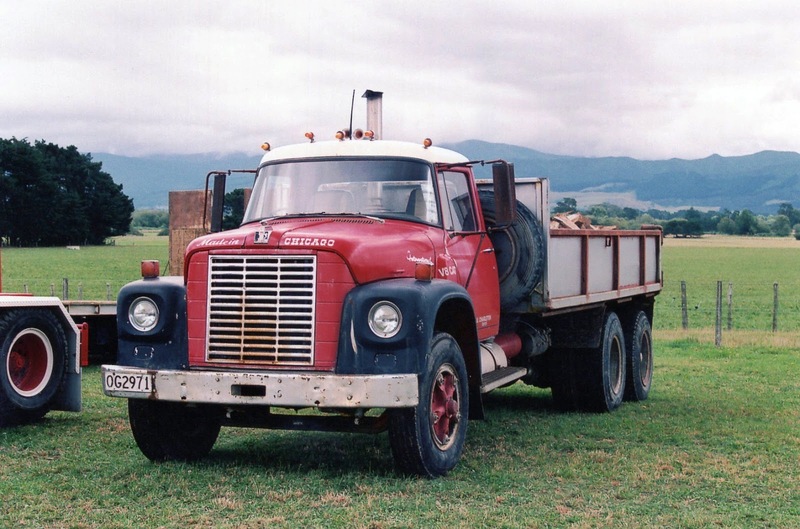 This Freightliner Argosy of Titiroa Transport heads south from Palmerston North for the long journey home to the very southern end of the South Island. A mixed load on this DAF of Maskills. Flat decks seem to emphasize the dimensions of the dutch built cab. Dark grey is the main colour on this Western Star and B-train of Jennings.